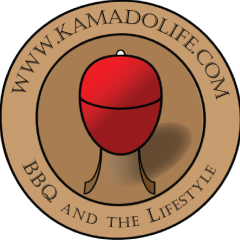 When Your Wife Loves Kamado cooking as much as you. 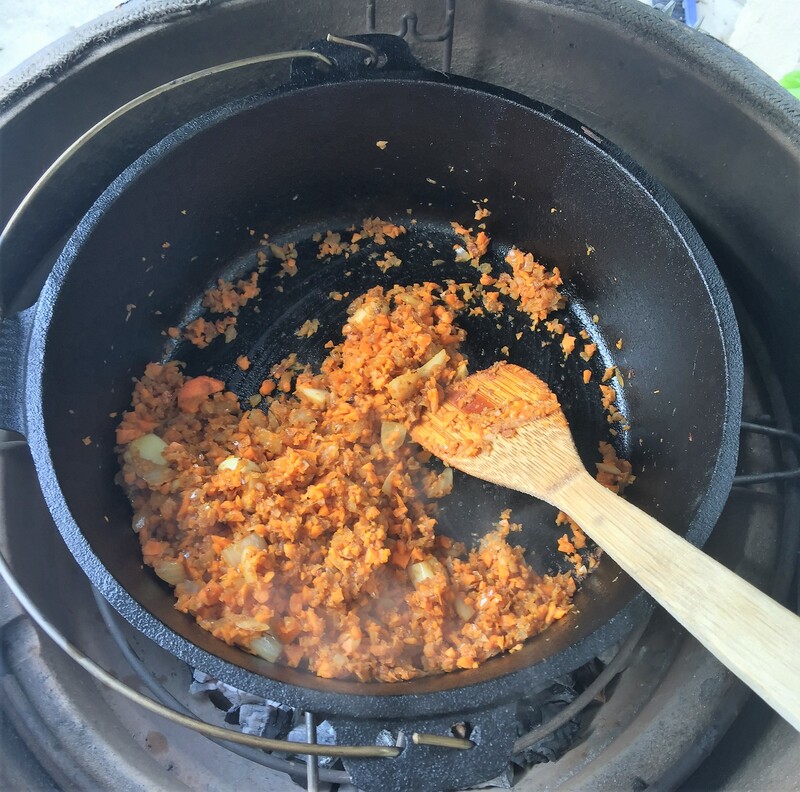 Due to a busy schedule, I wasn’t planning on firing up the Kamado this weekend, but my wife was really keen to do “something” When I say she was keen, I really mean that she was keen for ME to do something on the Kamado Joe. I wasn’t feeling very inspired as we have been dealing with a sick child on top of a birthday party for the two kids. We have both been distracted of late. So we tossed around a couple of ideas, wanting something hearty to try and build everybody back up with a good home cooked meal, something that is packed to the brim with flavour and nutrition. 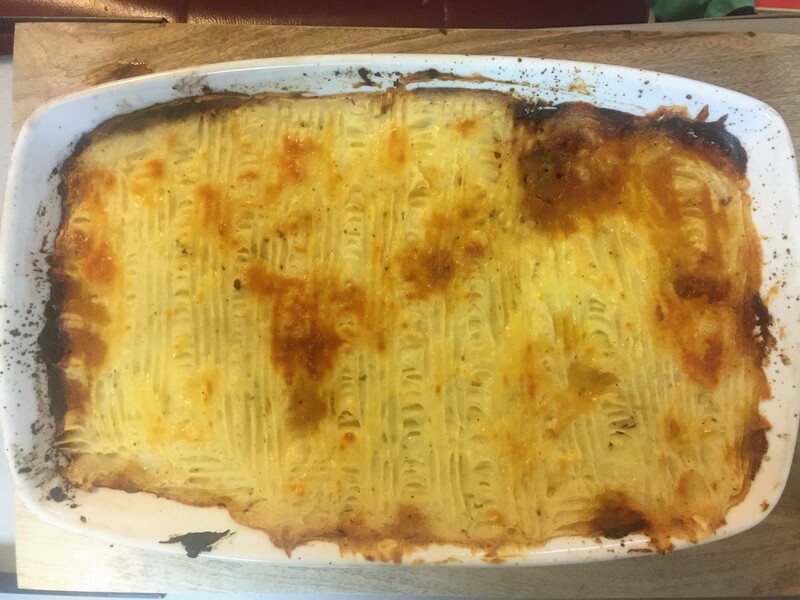 We eventually settled on Shepherd’s Pie (also known as Cottage Pie in some parts.) 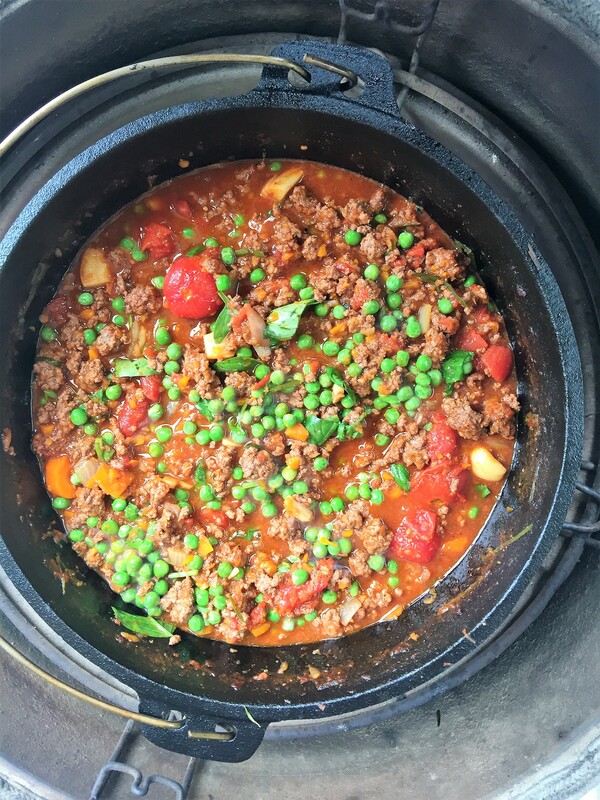 Full of vegetables and beef mince, that should do the trick and get some much-needed nutrients into the family. 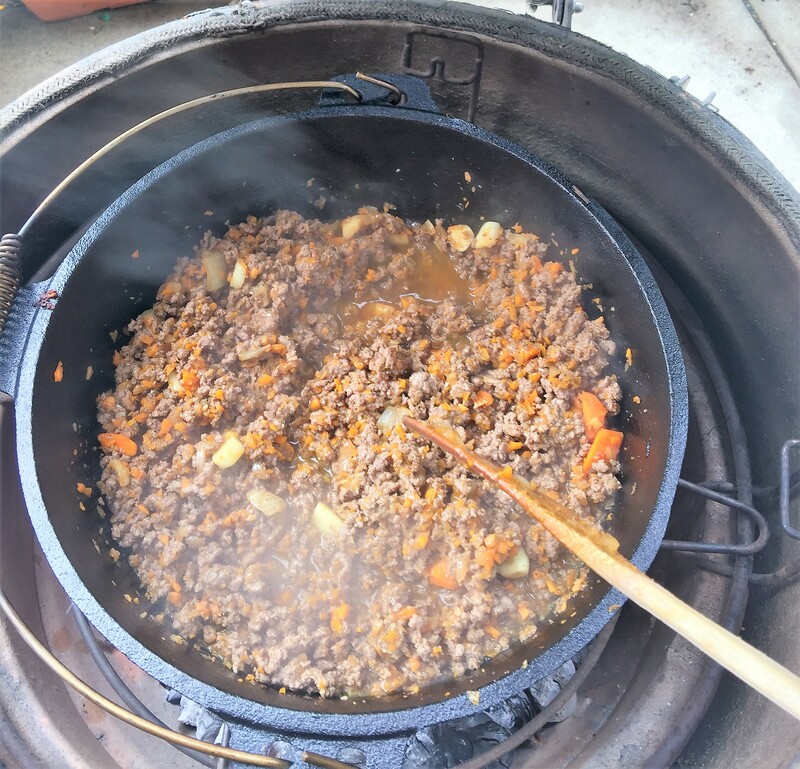 Having never done a Shepherd’s Pie on the Kamado, I really wanted to do it “all” over the coals. So I dived into the camping equipment to dig out my cast iron camp oven (similar to this one) as this would be the perfect vessel to create the basis of the pie. I had recently done a high heat Pizza cook and was VERY surprised at how much lump was left, as I was only going to be looking for around 200c for this cook, at least for the initial part I only added about five fresh pieces to the firebox. 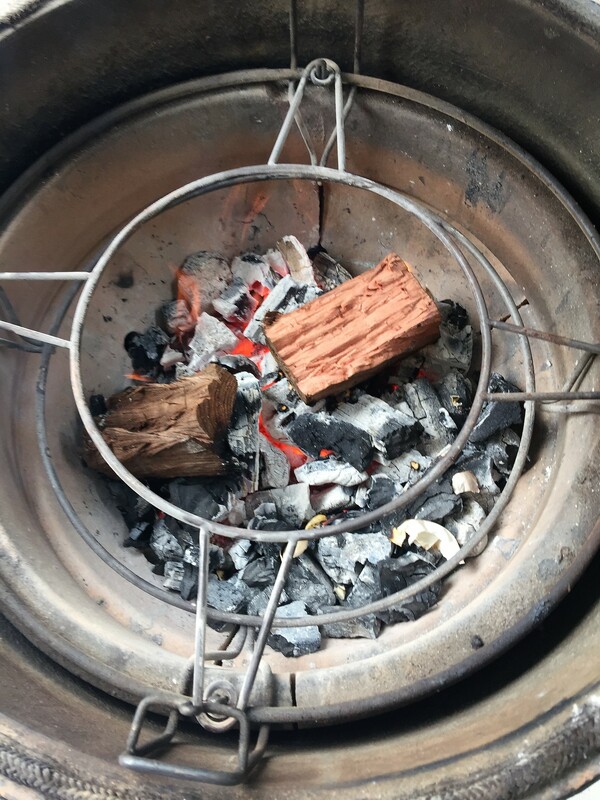 For the smoke wood, I added some good chunks of ironbark. Any robust flavour smoke would suit this meal. Initial setup was for direct with the X-rack in the middle position – to hold the camp oven. 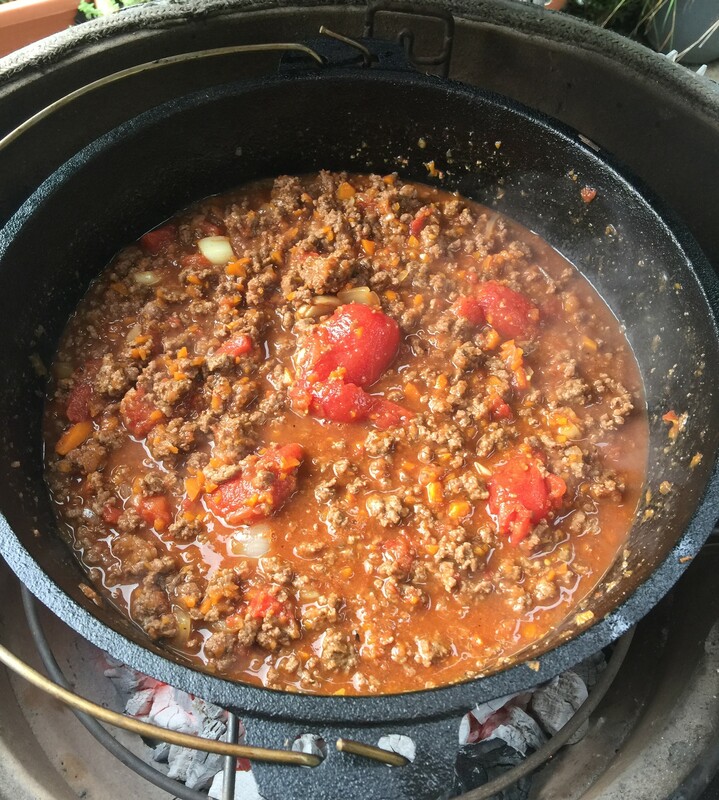 After letting the fire stabilise and with the dome temperature around the 200 deg mark it was on with the camp oven, after another 20 mins, it was ready to start cooking. -add onion, garlic and stir until a nice colour. -add mince, salt and pepper. 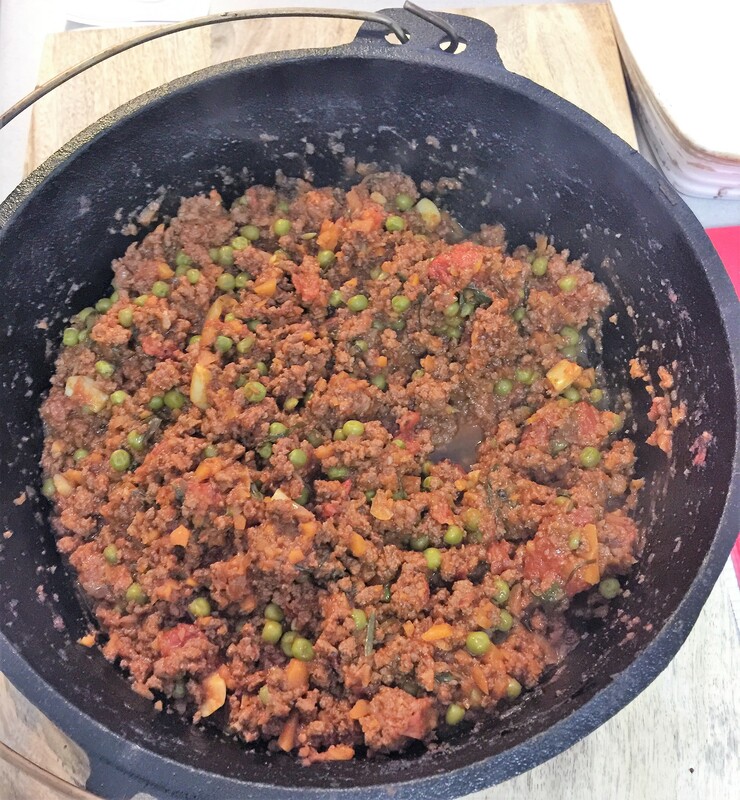 -When the mince has browned through add the beef stock, canned tomatoes. -Continue to stir, watching that you don’t have too much heat and burn the bottom. 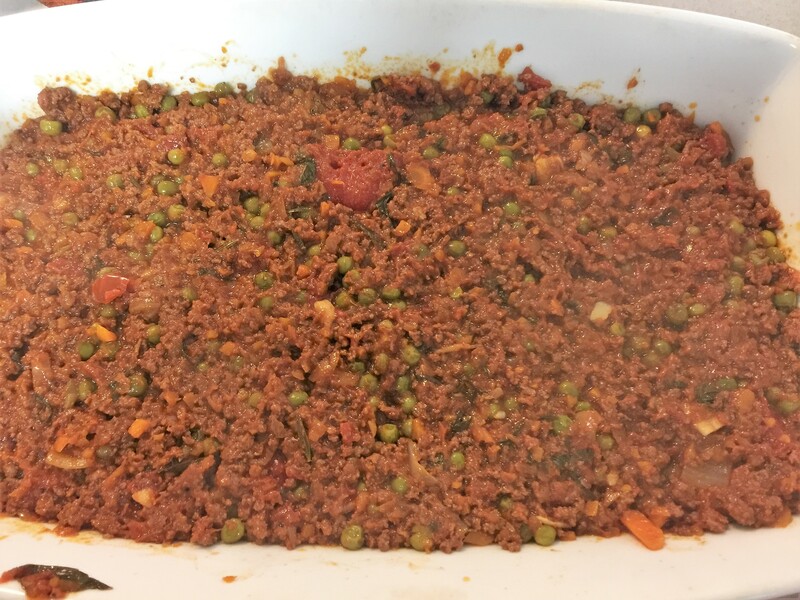 -at this stage, we want to add the remaining ingredients and simmer for as long as you can. We are looking to develop the flavours, be sure to taste as you go and adjust the taste to your liking. This is one of those recipes where it is a blank canvas and you can modify and add to you and your families liking. -monitor the liquid level, you want to maintain a moist mixture. Remember we will be turning this into a pie so need to avoid being too “wet”. – For my cook it was about 45 mins to an hour of simmering, all the while taking in that lovely smoky flavour. -Still set for in-direct, but now with the deflectors in the upper position and the grill racks in the upper position. This allows for more airflow and heat to be reflected from the dome, aiming to colour the potato top and crisp the cheese. -Monitor until you reach your desired colour on the top. -keep in mind that the edges around the deflectors are hotter than the centre, so be mindful and rotate the position of your pie as needed. -Once you are happy with the colour (or too hungry to wait any longer) take it from the heat and let it rest for 10 mins. Get in my tummy ! So for me, the mark of whether it was a successful cook is to whether miss 5 or miss 6 eats it. In this case, miss 5 loved it and finished off her whole plate, nearly wanting seconds. The added benefit is that there was soo many vegetables in it that they didn’t even see, not one complaint. This cook was really successful, the flavour of the ingredients was there and it was complimented by the smoke. 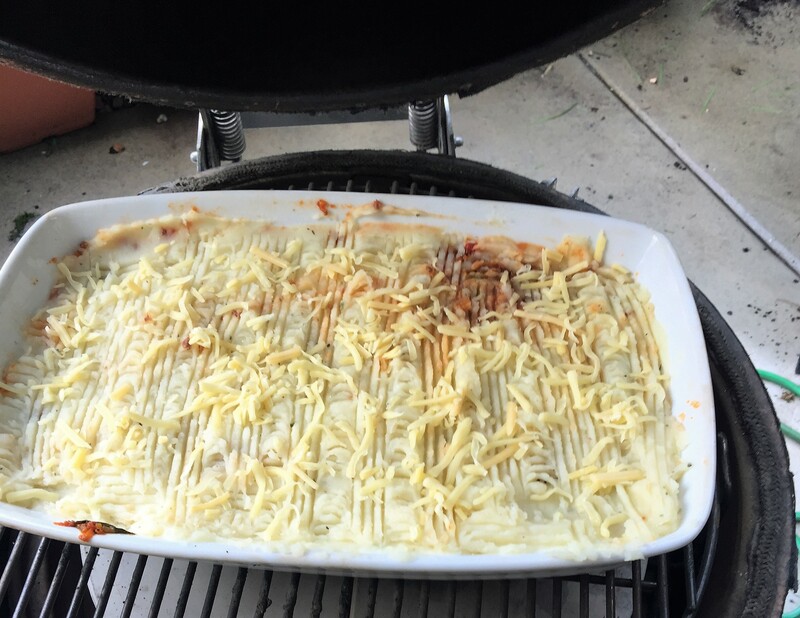 Unlike the lasagne where it was only the cheesy top that took on the smoke flavour (which was OK, as it complimented the dish) the smoke flavour was throughout the Shepard’s Pie and was simply amazing. Would I do anything differently next time? I don’t think I would, cooking over charcoal and having all your ingredients soak up some smoky amazingness is just fantastic. Maybe I would add some parmesan cheese to the potato mix. Let me know your thoughts on this one and please share your own creations. While it is fantastic to do the briskets and pork bellies it is really great to think outside the square, there are so many opportunities to enjoy the grill. Light it up and let the smoke take you away. 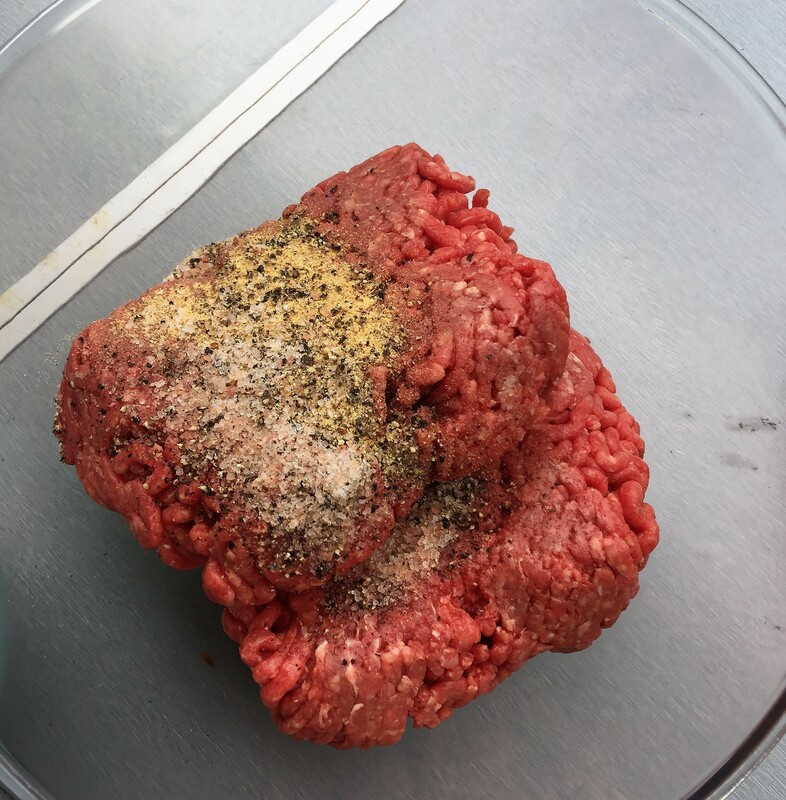 Really great, detailed recipe post. That looks delicious. I love finding different shepard's pie recipes. And yes, we still do this to sneak vegetables into out teenage son. That's a really good looking/sounding dish. Thanks for the detailed write-up. Awesome write-up. Great looking cook. Thanks for sharing.